Wheel of Fortune! 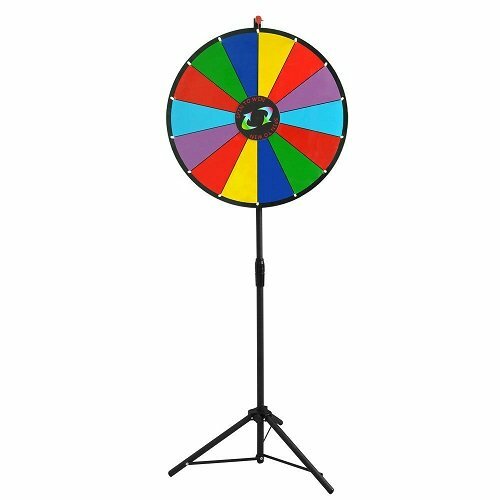 Just spin the lucky wheel and see who wins. Comes complete with an easy adjustable tripod stand to adjust the height to meet your need. 14 customizable slots and a centre sign for instant logos or text change. The plastic pointer "clicks" between each prize, creating exciting sounds. 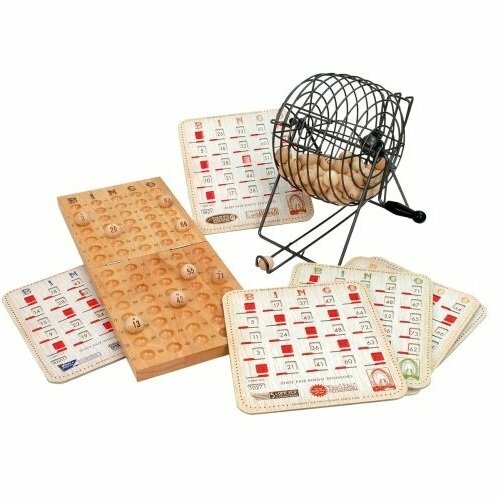 It is perfect for your social club lotteries, raffles, word games, number games, quizzes, trade shows, carnivals, annual meetings, parties… the uses are endless! What a catch! A giant version of the traditional fishing game. 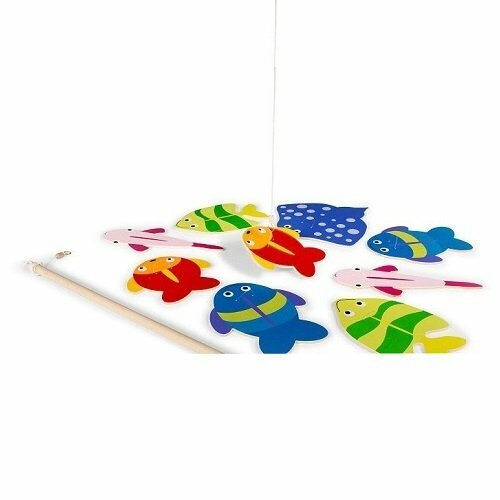 Try to hook the fish using the wooden fishing rods. When you've hooked your fish, pull it up and celebrate your catch. Each fish has numbered backsides to indicate how many points they are worth. Great fun to enjoy inside or outdoors. Just shuffle, draw and exercise — no need for expensive gym equipment! 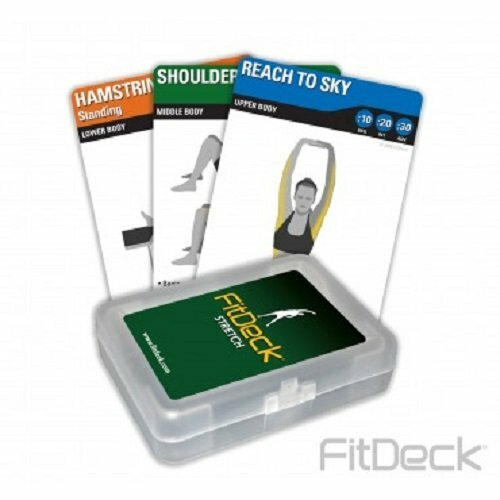 Use the popular FitDeck Stretch cards to improve performance and circulation. Stretching helps to reduce muscle stiffness and fends off potential repetitive stress injuries. Designed for all fitness levels, beginner to advance. Bingo, an exciting game of chance! 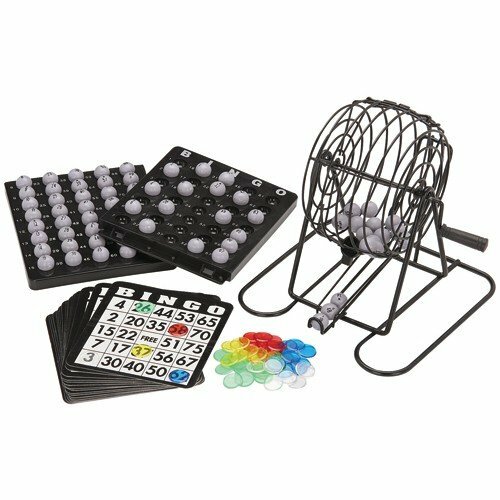 This professionally styled bingo set will have you totally captivated as the balls roll around inside the spinner and you wait for the caller’s announcement. Bingo is one of the top activities played by all ages, particularly seniors. It encourages conversation and social interaction between players. Time to gather some friends, and start playing! Fun for 2 or more players. Matchmaker! How fast are you? Try and find the pairs of the squares for a country. Each square features a symbolic icon and a country's national flag, making the game a fun geography recall tool. If they match you keep them. Oversized board games are fun team building games for work events. 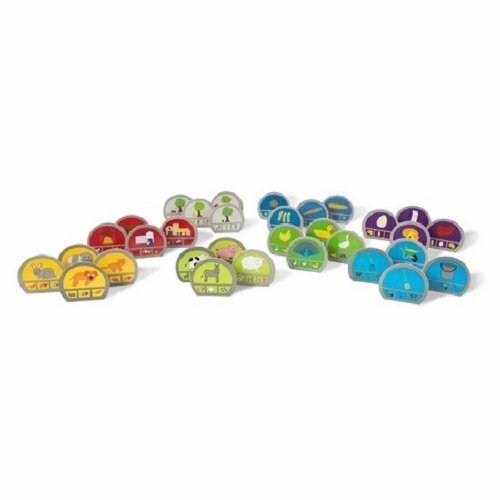 This matching game is easy to set up and serves as a great memory strengthening activity. Just shuffle, draw and exercise — no need for expensive gym equipment! A favourite among active seniors. 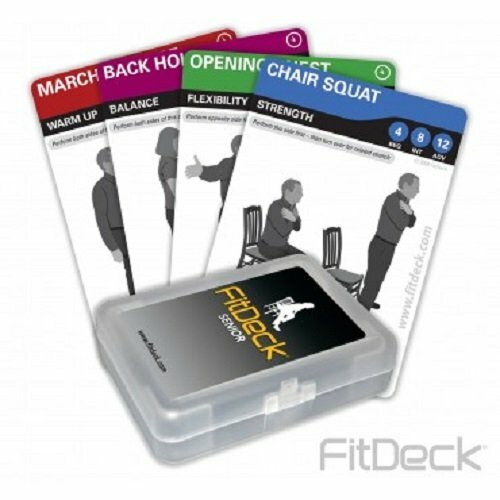 FitDeck Senior cards illustrate 80 strength, flexibility and balance exercises. Designed with seniors in mind. Easy to read and handle, with oversized cards and large font size print. Roll up, Roll Up! A classic carnival game of accuracy, skill, and a little luck. Can you throw the lightweight rubber ball hard enough to knock the bottles over? Lay the bottle flat or stack them. There are lots of ways to set up your targets. 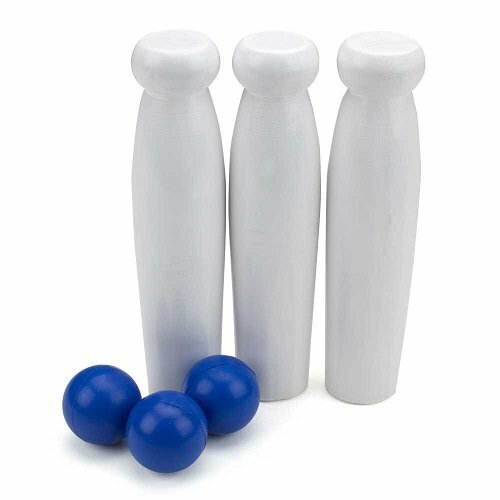 This set can also be used for "Bottle Up" or "Push 'em Up" bottle games. Host your own mini fete! Just shuffle, draw and exercise – only equipment required is a seat! 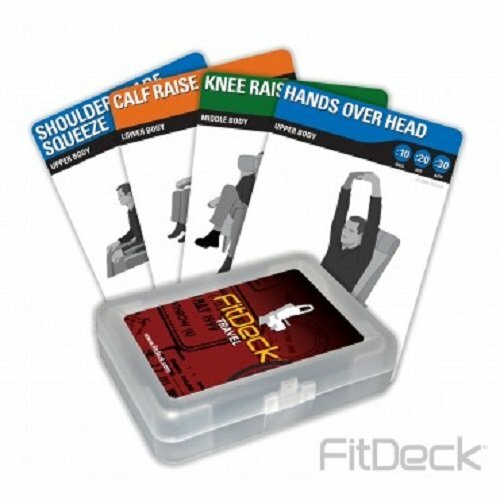 The FitDeck Travel cards contain stretches and exercises that can be performed while sitting in confined spaces. Intended to increase circulation, keep the joints moving, de-stress and maintain proper posture. Great for when away from home or on the airplane! Gather some friends, and let’s play Bingo! An exciting game of chance. This authentic retro-style set will have you captivated as the wooden balls roll around inside the spinner and you wait for the caller's announcement. The balls are wooden and the numbers are burned on. Bingo is one of the top activities for mature adults. Bingo encourages conversation and positive social interaction between players. Fun for 2 to 8 players. Love Croquet but the nowhere to play outdoors? 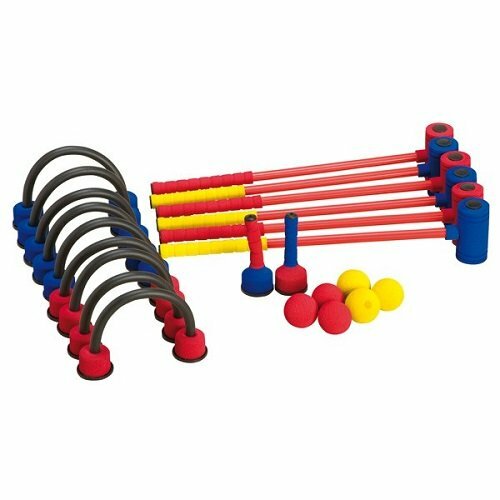 This foam croquet set can be played anywhere - indoors or outdoors. Uniquely weighted self-standing foam-covered wickets that stay upright while still remaining soft and flexible. This croquet set provides a genteel pastime to pleasantly while-away a rainy afternoon! Illustrated spots make physical fitness fun! Perfect as a fitness program aid. Set up an exercise circuit. 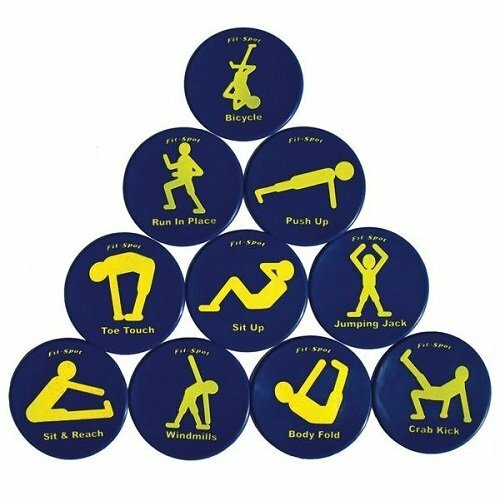 Ideal to use as a guide for warm-up exercises. Or simply use as markers! For indoor/outdoor use on virtually any surface. 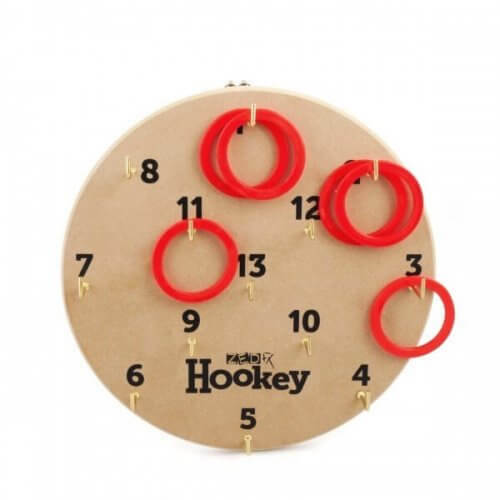 This classic Hookey Ring Set, is a fun and friendly game for all ages. Most games can be played by any number of players. Players take turns to throw the set of rings. Most expert players throw the rings overarm so that they land flat on the board and hopefully over a hook. For the less serious player, they can throw the rings underarm! Rules for two types of games to play; Standard Hookey and Round the Clock Hookey. Good Ol' Chip Chuckin' Fun! Uproarious game will keep you laughing for hours! Promote cooperation, camaraderie and physical activity. 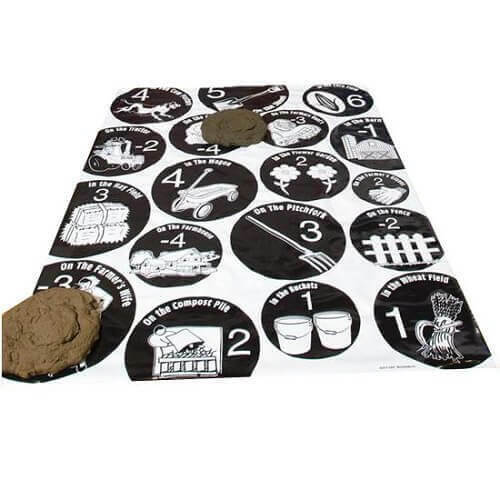 Washable vinyl mat is printed on both sides for fun and variety. Plenty of game ideas that are easily adaptable for any age or ability level. A huge vinyl playing mat that is almost 1.15m x 86.5cm! Just like the ever popular card game only bigger! Try and collect a complete family of four without giving away your secrets. Encourages recollection, sorting and matching skills. Play at weddings or team building events to get people mingling and trying to find their match. A quick and simple game to play, with a good mixture of tactics, luck and memory!